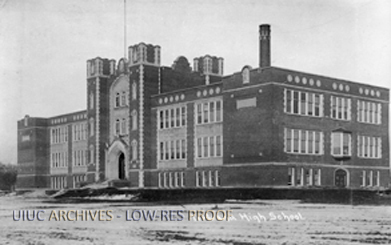 This educational building was built by Joseph Royer in Urbana, IL, and completed in 1914. 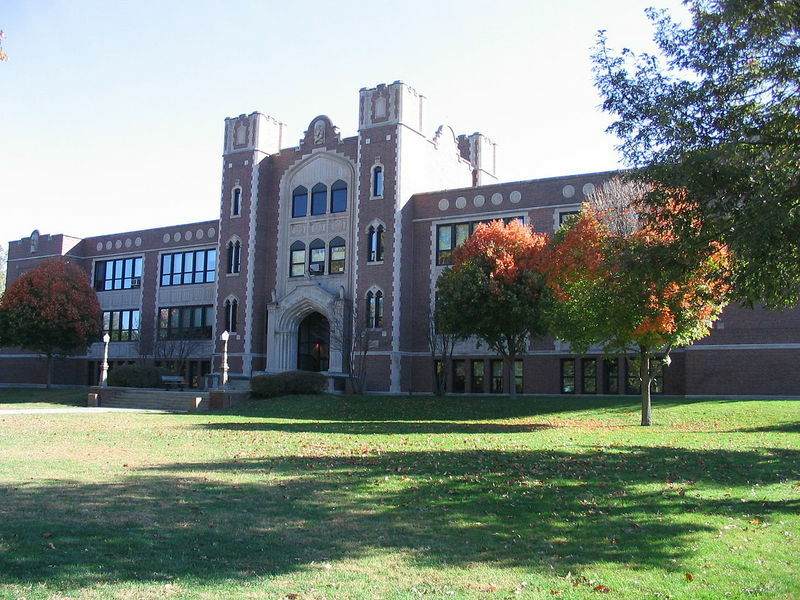 Urbana High School's current building was built in 1914. It was designed by architect Joseph Royer who also designed many other area buildings such as the Urbana Free Library and the Champaign County Court House. The architecture is of the Tudor style defined primarily by the towers over the main entrance and flattened point arches over the doors. An addition was built in 1916 that included a gymnasium and swimming pool. Due to increasing enrollment, other additions were built in 1955 and in 1965. In 1988, an enclosed athletic area was added and the old gymnasium/pool wing was converted into classrooms. The entire building was also renovated to meet safety codes. The Urbana Park District Indoor Aquatic Center was built in 2003, adjoining Urbana High School and bringing the building to its current state. During the renovation in the late 80s, areas that had been sealed off during previous construction revealed graffiti dating back to around the 50s. Beginning in 2011, the USD #116 began construction on several projects to update older facilities. The school demolished its football and soccer fields in the spring of 2011 and combined them into a new state-of-the-art football/soccer field, with artificial turf and several bleachers (Urbana Tigers Athletic Complex). The project cost an estimated 4.3 million dollars. Cobb Memorial Auditorium is also undergoing a complete renovation, which will attempt to restore and reincorporate historical features of its earlier design (estimated cost 4.6 million and will be finished by August 2012). Additional improvements to the facilities are being done and hope to be completed by the end of 2012. Joseph Royer was a prominent architect based in Champaign-Urbana. He designed a number of houses and local landmarks including the Historic Urbana Landmark Hotel and Urbana Free Library. 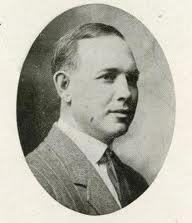 Royer was an Urbana native and graduated from the University of Illinois in 1895 with a degree in civil engineering. He worked as the Urbana City Engineer from 1898 to 1906. In 1905, he established an architectural firm that continued to be successful until his death in 1954. 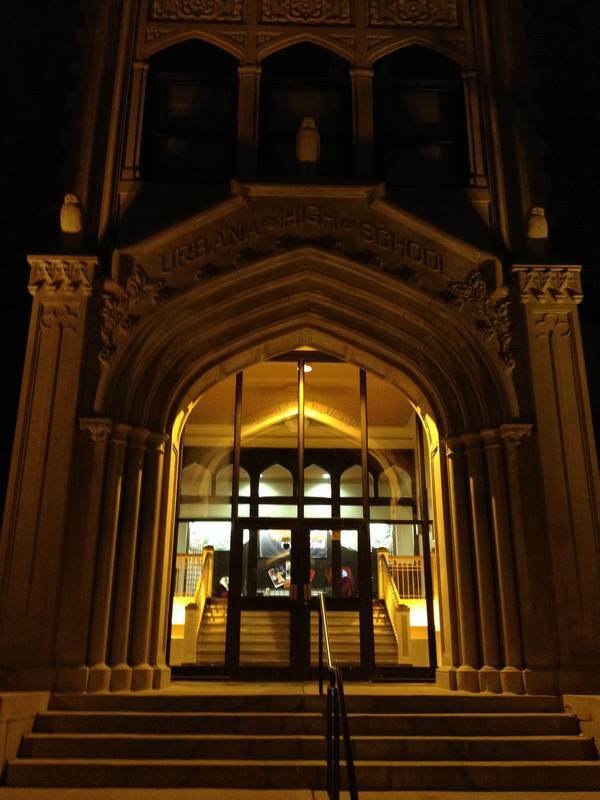 Architect Joseph Royer, an 1890s graduate, designed the 1914 section of the current UHS building, the Urbana Free Library, the Champaign County Court House, and many schools across Illinois and Iowa. Several of his buildings are on the National Register of Historic Places, including the Urbana Lincoln Hotel, the Illinois Traction Station, and several University of Illinois fraternity and sorority houses. The Joseph W. Royer Arts and Architecture District in Urbana recognizes his contributions. 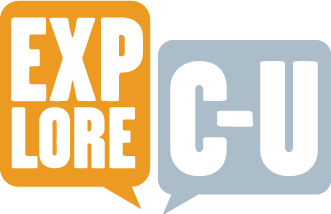 Zhou, Ning and Rebecca Vahldick, “Urbana High School,” ExploreCU, accessed April 22, 2019, https://explorecu.org/items/show/307.